Many full-time jobs that disappeared during the recession may never come back, say labor and business experts. Stephen Luebkert was laid off in March 2009 from a Boston-based semiconductor company. He lived for four months on his severance while he looked for another full-time job and eventually ended up working again for the same firm. The difference is that now he is a contract employee. He no longer gets any of the perks of being a permanent worker, including paid vacations or sick days, health insurance or tuition assistance. And he estimates that he makes about 20 percent less — for the same job he was doing before. As employers begin to cautiously hire again after the deepest economic downturn in a generation, Luebkert is in the vanguard of an emerging new contingent work force. For some businesses, these contingent workers could become a permanent solution, eliminating a huge swath of full-time jobs with benefits, say labor and business experts. “It’s cheaper to hire contingent workers, but also more flexible for employers,” said Bill Kahnweiler, associate professor and human resource expert at Georgia State University’s Department of Public Management and Policy. Contingent workers allow companies to stay lean and avoid hiring more permanent workers. “If someone decides, ‘We need to be this size,’ it’s far easier to do that with contract workers and temps," Kahnweiler said. Monster.com saw a 46.2 percent spike in contract job postings in March compared to the same month last year, said Matthew Henson, a spokesman for the jobs site. Overall job listings increased 32 percent in the same period. End of the rank and file? But such a "transient" work force could end up hurting workers because many of the protections and benefits of being full-time employees, including unemployment insurance and some labor laws, don’t apply to free agents. Contingent workers typically don’t get sick or vacation days, retirement accounts or health coverage. “Companies want a more flexible work force, but we have to think about what’s the next way we’re going to protect people,” said Sara Horowitz, founder of Freelancers Unions. Solid numbers on exactly how many individuals are working on a contingency basis are hard to come by because the U.S. Department of Labor stopped tracking the figure in 2005 due to budget cuts. Sophia Koropeckyj, an economist at Moody’s Economy.com, said it’s too early to tell what shape the workplace will take after the recession, especially since there is no single measure of contingent workers. “I don’t think we can say with a lot of certainty there is a growing trend in the use of contingent workers,” she said, adding that she expects more data to be available by 2012. Despite this, many business groups and labor advocates believe the contingency work force is on the rise and will become a mainstay in the U.S. companies even after economic hard times are behind us. Garry Mathiason, senior managing shareholder at Littler Mendelson, said it is the new normal. “As the economy gets moving faster, there will be more opportunities, and many of those will be in contingent jobs,” he said. Such free-agent work has gone far beyond low-skilled jobs and the construction sector, he said, where contract work long has been prevalent. Mathiason expects to see a rise in the use of contingent workers in highly skilled positions — including scientists, engineers, professionals and managers — as companies aim to do more project-based work with small groups of professionals they can bring in as needed. He compares it to making a movie, where producers bring in the crew needed to get the job done. While Mathiason concedes “a group of workers will be worse off” due to the growing use of contingent workers, overall he believes employees and employers will benefit in the competitive global marketplace. Threat to the middle class? “This contingent economy is threatening to the American middle class,” said Mitch Ackerman, executive vice president of one of the Service Employees International Union. Sometimes contract workers are misclassified as independent contractors because employers don’t want to pay benefits," Ackerman said. “What we find with part-time, contingent and independent contracting work is there’s incredibly high incidents of wage theft, labor law violations and health violations,” — especially when low-wage earners are involved, he said. Alexander Passantino, former acting administrator for the U.S. Department of Labor’s wage and hour division and an employment attorney with Seyfarth Shaw LLP, said employers need to look to guidelines established by government agencies to determine a worker's status. “Each of these tests focuses heavily on how much control is exerted by the company over the individual,” he said. “The more control, the more likely it will be that the individual will be an employee." Another factor to look at, he added, is whether the services provided by an individual are an integral part of a business. For example, “in a restaurant, the servers are an integral part of the business, but a plumber is not,” he said. Employers who misclassify an employee can face fines and back taxes and may have to pay benefits such as overtime or retirement. A 2000 Labor Department study, the most recent available, found 10 percent to 30 percent of firms audited in nine states misclassified at least some employees. 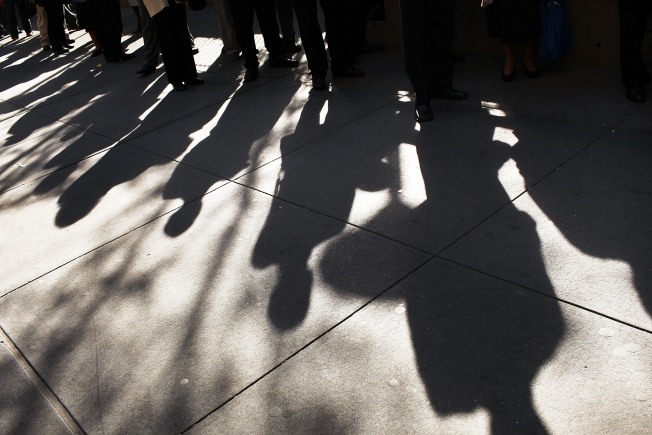 Some government estimates show that more than 3 million workers are misclassified. The federal government and state officials have recently pledged to crack down on such practices. The White House's latest budget includes funding to hire federal investigators to look into violations, and the IRS announced a three-year contractor classification audit of thousands of companies. In the meantime, some contract workers are just happy to be able to pay the bills. Michelle Johnston of Orlando has been freelancing because she’s been unable to find permanent work after being laid off last July after 13 years with a Florida consulting firm. “As a single mother, a steady paycheck with benefits is most appealing, but I've had to turn to freelance contract work to supplement unemployment,” she said. Luebkert, the contractor from Boston, said the firm he’s with treats him well and he loves the work, but he dislikes the instability of being a contingent worker. They keep telling me they’re going to bring me on full time again when things get better," he said. "The day they offer me a full-time position I’ll throw a party,” he said.